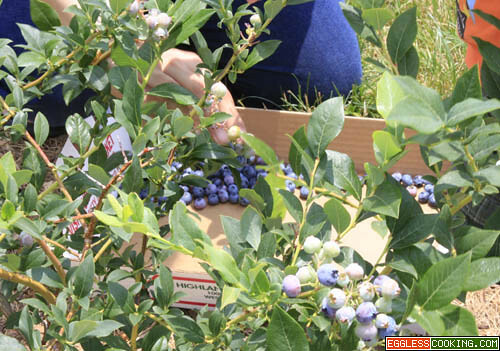 Last weekend we went blueberry picking in Highland Orchards, PA. I think mid July would have been the right time, because a lot of berries were not ripe yet. We managed to pick around 3 cups of berries. Was it worth the drive, when blueberries are available in the local supermarket right at your doorstep, with buy one get one free offer? Yes, it was totally worth every penny, when I saw my son having fun trying to carry the box (or rather dragging it) all by himself, picking the berries and correctly putting it in the carton, with a sense of pride! 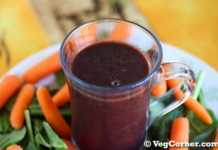 As always I found this amazingly simple and healthy recipe in the July 08 issue of Parents magazine. I reduced the quantity of ingredients because it was my first try. But the end product was so good! 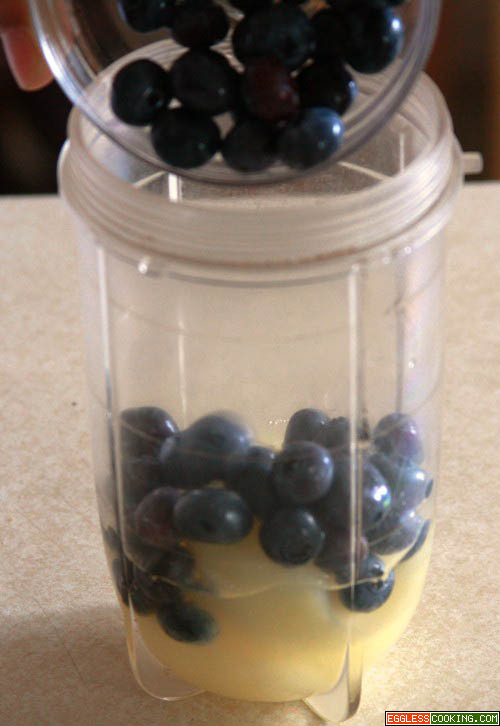 Place 2 pear halves (with the syrup) and blueberries in a blender. 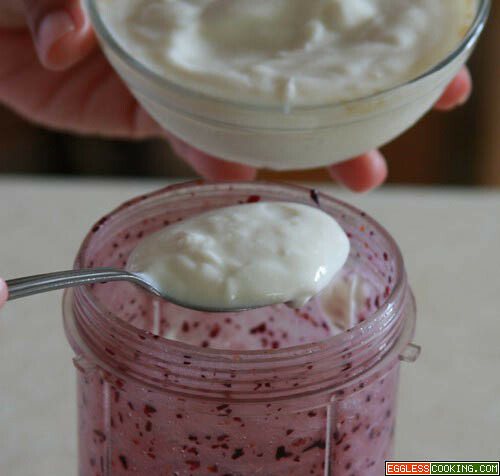 Add the yogurt, vanilla essence to the blueberry mixture. 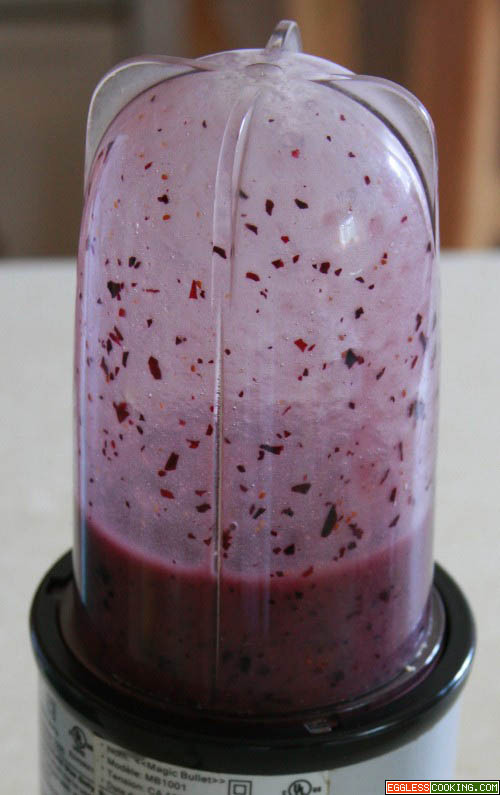 Now you have a delicious blueberry smoothie. 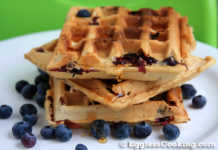 I also added a tablespoon of maple syrup. 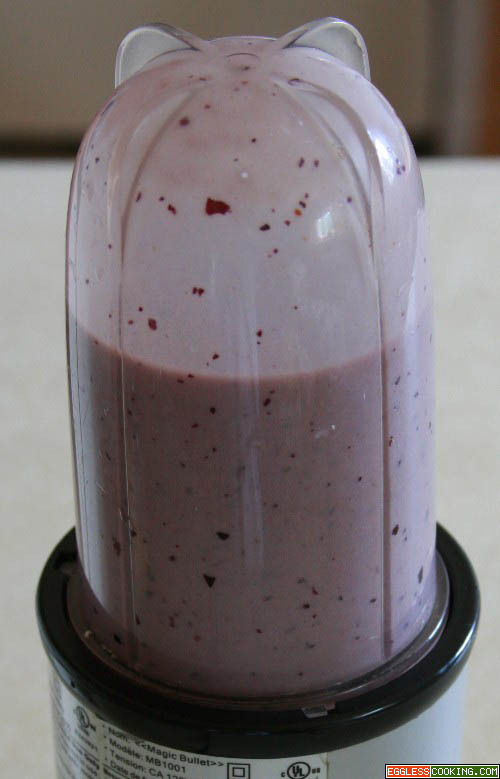 Alternatively you can pour this mixture in an ice pop mold. The mold which I have has marking until which the liquid has to be filled. Close the molds with the lids provided. 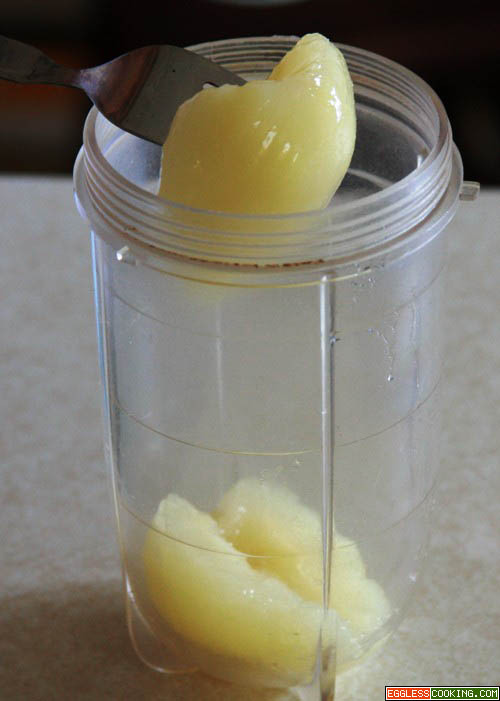 Freeze until firm, 4 to 6 hours. I left it overnight. 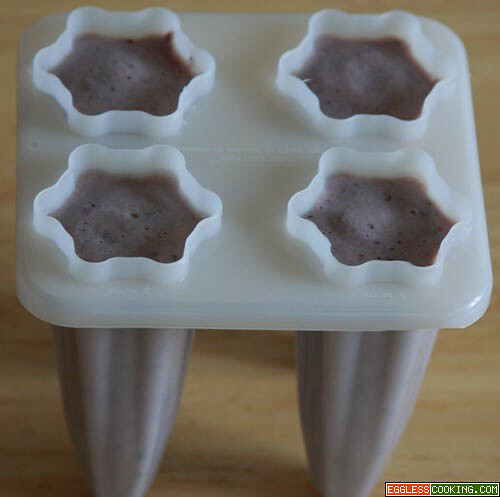 How to remove the ice cream pop from the mold? Insert the mold in warm water for a couple of seconds or show it under running water in the kitchen sink and place it on the counter. 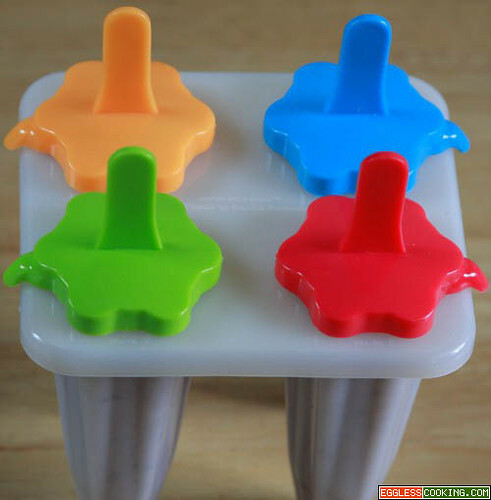 Within a couple of minutes the ice pops will slip out of the molds without any fuss. 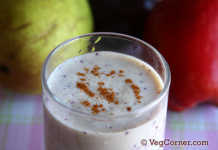 I tasted the smoothie and found that it was not sweet enough, so I added some maple syrup (which I bought in the orchard) before pouring the mixture in the mold. 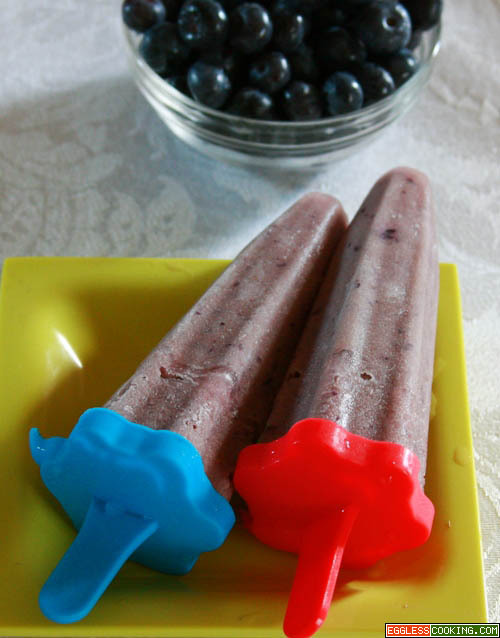 Since I used only half the quantity of blueberries, I think I did not get the vibrant purple color pops as featured in the magazine. For the above measurement I got 4 pops and the remaining half a cup of smoothie was devoured by me. 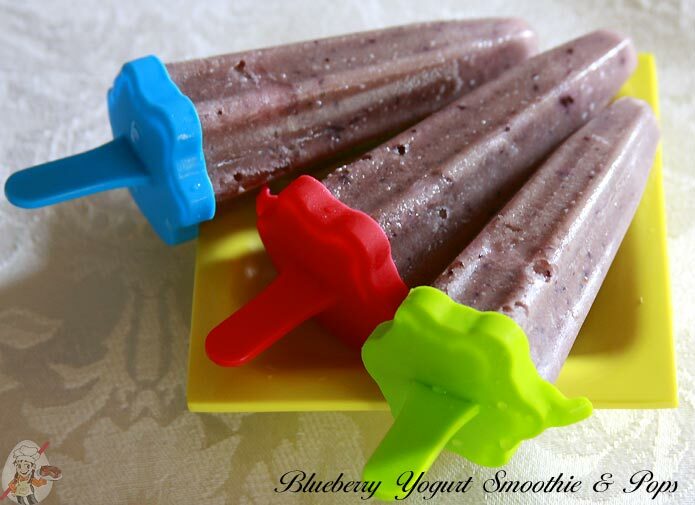 My son did not like the smoothie, but he was all excited when I gave him the ice pops. The same thing happened when I prepared Raspberry Lemonade also. He did not like the lemonade but he enjoyed the raspberry pops very much. We Love our Blueberry Bushes.. We Have 5 about 7 ft Tall..
we Pick for weeks.. 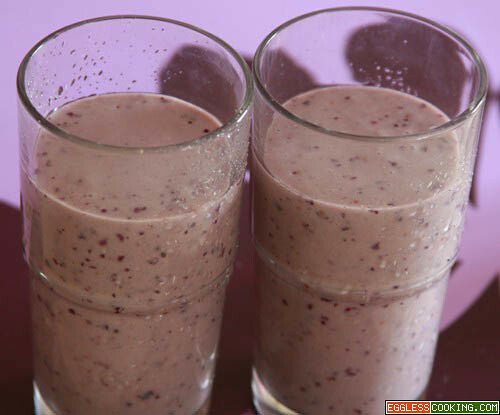 Thanks for the Smoothie Idea.. I thought i was looking at my own blog when I first loaded your page… We’re using the same template. 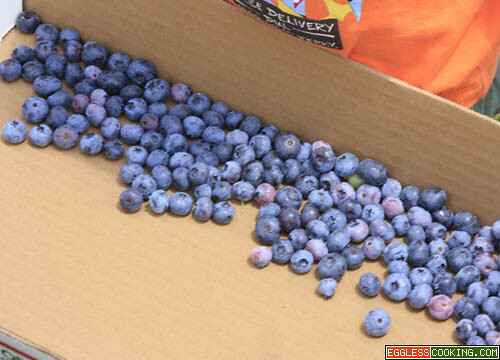 Must be fun picking those blueberries yourself.